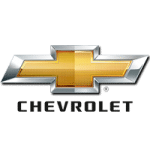 You might find the need for a new Chevy key when an extraction has broken the teeth on the key or after other damage has occurred to the key. Perhaps you’ve lost the car key or even experienced the dreadful lockout and simply want a secondary key to avoid such problems in the future. We understand your concerns and promptly respond to those needs, making keys as fast as you can give us a call. Our high quality key makers can make keys for any model Chevy that you drive. Need an ignition key? Transponder key? Trunk key? We’ll take care of those needs. Chevy keys made by our pros at Door N Key Locksmith are high-quality and durable, just like those you’d purchase from the dealership. We can make your new key at our location or yours. Just pick up the phone to speak to one of our locksmiths. Someone is available to answer your call 24-hours per day, 7-days per week, so do not concern yourself with the time on the clock. We have one job and that is taking care of the needs of our customers. This means working when the sun is down and at those odd hours. We wouldn’t trade it for anything in the world.